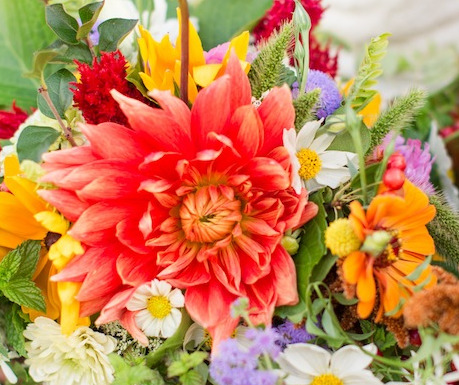 Join us for a hands-on, flower design workshop with Tara Fodor from Farmhouse Blooms. Enjoy some sips, snack & a special discount beforehand to get your creative juices flowing! 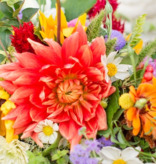 Tara, owner and designer, will demonstrate design techniques for a sprawling floral arrangement using seasonal blooms and textured foliage. 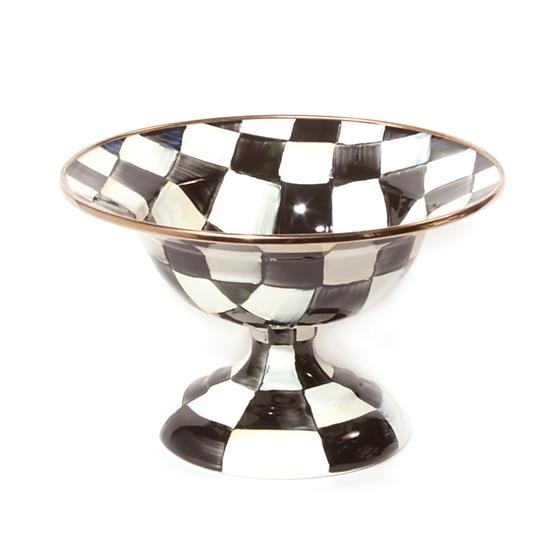 Attendees will have an opportunity to create their own exquisite, table arrangement using provided florals and a provided MacKenzie-Childs courtly check compote (that retails for $85!) that you can take home and enjoy. All supplies and materials provided. The event starts at 6:30pm at ivory & birch, but we will have the snacks & sips set up at 5:30pm so you can shop & relax before the workshop begins! 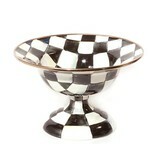 All attendees will also get 15% off of their entire purchase that evening (excluding MacKenzie-Childs).